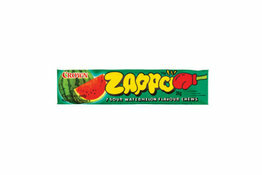 Zappo Watermelon, the watermelon sour treat that are all individually wrapped. This lolly is popular for everyone with a explosive flavour! How can you say no? Why not try these in every flavour!